When a court returns a decision that is clearly at variance with our Constitution, you know that you are dealing with a progressive judge who sees the Constitution as a document that is rightly interpreted not as the founders originally intended, but as contemporary societal norms suggest. To put it bluntly, such judges believes they can amend the Constitution’s meaning by judicial fiat, although they would never admit to such. The First Amendment is very clear. It grants protection to the people’s right to freedom of speech and the freedom to practice the faith of their choice. The government’s ability to encroach on those freedoms is extremely limited, restricted to matters such as slander or conspiracies to commit violence. Hence, when a federal court ruled that the residents of New Jersey are not allowed to criticize Islam, that court has issued a ruling that violates our Constitution. There is no Constitutional protection against being offended. In fact, people are free to say all manner of offensive things provided they are not inciting their audience to commit violence, and provided they are not slandering anyone. Thus we have a ruling that must be overturned. “The First Amendment guarantees that the government cannot suppress free speech or favor a religion — but a court in New Jersey is violating both of those promises. 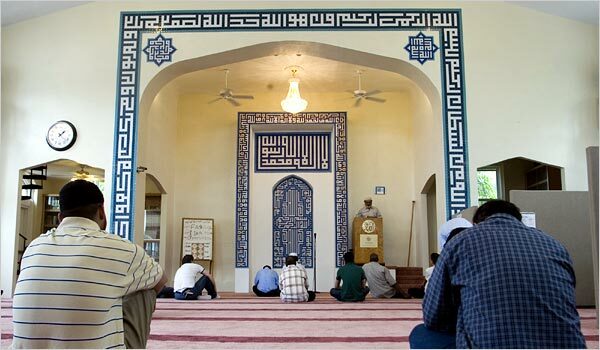 “According to a report from the Thomas More Law Center, residents of Bernards Township, New Jersey, have been banned from bringing up the topic of Muslims or Islam at an upcoming public hearing. How can there even be such a debate if Islam cannot be mentioned? The judge’s ruling not only violates the Constitution, it makes no sense. The court has clearly chosen to show preference to the Muslim faith over others. This is where the court errs. 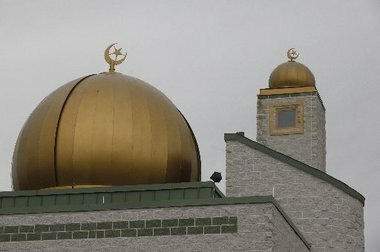 “In response to the controversial order, the Thomas More Law Center has filed a lawsuit on behalf of Christopher and Loretta Quick, who live just 200 feet away from the proposed mosque site. “‘While claiming that the Township had a religious animus against Muslims, ISBR [Islamic Society of Basking Ridge] hid from the public view its animus toward Christians and Jews, by not only hiding anti-Christian and anti-Semitic verses published on its website, but also hiding its significant ties to ISNA [Islamic Society of North America],’ attorney Richard Thompson explained in a news release. People frequently disagree, many times profoundly. Hence the need for the First Amendment to protect the right of the people to express their disagreement, even with the government. Other freedoms cannot exist if the people can be silenced because what they say is offensive to some group. There is a tendency and a real danger in our country to protect specific groups such as Muslims from criticism while allowing members of these very groups to say whatever they want about others. This is the opposite of what the First Amendment is all about. While we may disagree with certain speech, and even find it very offensive, unless it strays into some very specific area such as incitement to commit violence, it is protected. The inconvenience and irritation of hearing views that are anathema to one’s own must be subordinated to the freedom of others to make or publish their opinions. There is no way a free society can exist if the government can circumscribe what the people can say. Hence the First Amendment must stand unmolested.